We've got to hand it to duchesses Kate Middleton and Meghan Markle, as they certainly do us proud in the fashion stakes. From the savvy rewearing of their favourite garms (here's looking at you, Kate) to unashamedly overdressing for casual outings (it's always better to be smarter than sloppy, right Meghan? ), they never fail to inspire us. However, it seems they're not the only royals who have the Midas touch when it comes to pulling together an outfit. 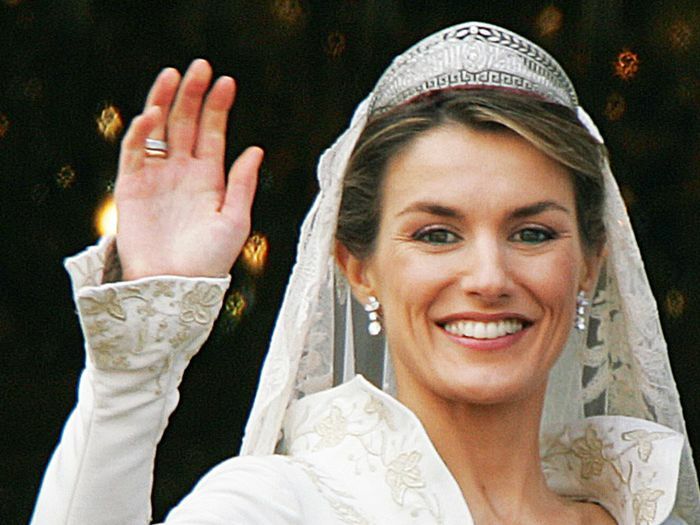 Alongside other princesses from around the globe, there's one sovereign in particular who's been serving up some standout ensembles of late: Queen Letizia of Spain. The wife of King Felipe VI of Spain, Queen Letizia is fast becoming known for her flawless attire. Sure, she might have the world's greatest designers queuing outside the castle to dress her, but just like Kate Middleton and Meghan Markle, she often opts for more affordable brands, too. Her innate knack for the high/low mix ensures she always looks the polished part whilst still tapping into major trends. 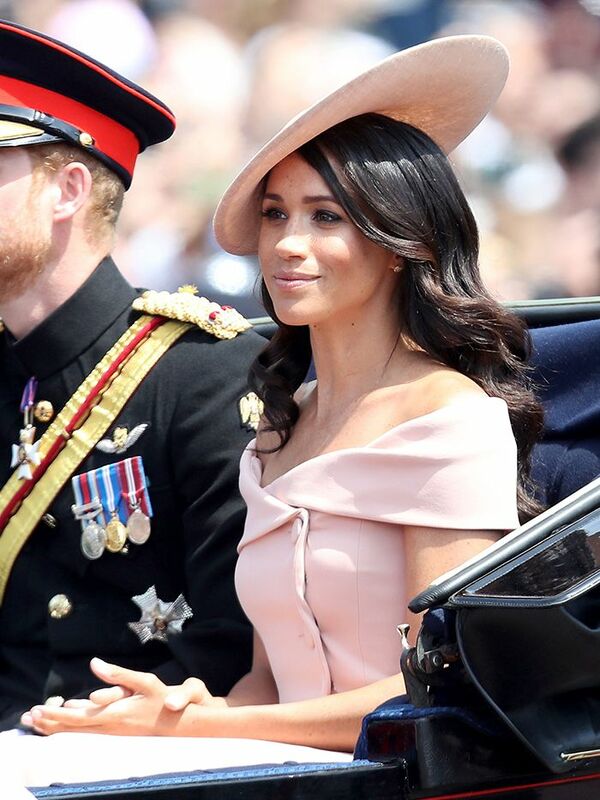 From the regal uniform of frock coats and matching accessories to daring minidresses and bold displays of colour, she's a force to be reckoned with on the royal fashion circuit. Continue on below and you'll see why Queen Letizia's style is worthy of all the hype. She's not afraid to show some shoulder. Queen Letizia knows the most elegant way to wear an off-the-shoulder dress is to keep the hemline below the knee. Chic, chic, chic. Her shoe collection is next-level. The dress, we like. Those Perspex-strap courts, we love. She's got her autumn colour palette down. We've heard of matching your bag to your outfit, but we intend on coordinating our lipstick to our ensembles from here on out. She knows an It coat when she sees one. Whatever she's wearing underneath, it's being overshadowed by this fabulous, winter-ready coat. Even her basics are glossy. The simple gold detailing elevates this outfit to stylish new heights. She's not afraid to try new silhouettes. Even the ever-daunting cape dress is no match for fearless Letizia. The "smart-casual" dress code is her speciality. We'd wear this to board a yacht in the South of France or, you know, to shake the hands of various diplomats. Either way, we're here for it. She's a master at matching her accessories. Kate Middleton swears by frock coats for formal engagements, and it seems Queen Letizia does too. The fact she's expertly matched the base hue to that of her courts is, naturally, no accident. The rulebook is thrown out occasionally. It takes confidence to clash your prints with such ease. Of course, this is no problem for the sartorially blessed Spanish monarch. She knows the power of monochrome. Thanks, Letizia, for inspiring our next "cocktails with the girls" attire with this monochromatic waistcoat-and-leather-leggings combination. She even makes denim look sleek. We can just see Kate Middleton channelling this denim look at next year's polo. The knee-length hemline is ideal for running after the royal tots. This silhouette is reminiscent of Dior's "New Look" suit, loaning an hourglass shape to Letizia's figure. Her jumpsuit collection is one of the best we've seen. Queen Letizia loves a jumpsuit, and this has to be one of her best. The one-shoulder detailing and draped train give it royal grandeur, whilst the navy hue and minimal use of accessories ensure it doesn't look over-the-top. Statement pieces are a doddle. This ensemble screams Olivia Palermo, which can only be a good thing. She makes 10-denier tights look good. Even in Spain, sheer tights are still part of the royal uniform. However, note how Letizia opts for black instead of our duchess-approved beige. Even leather dresses don't faze her. This colour really suits her—as does the short, sleek bob. Full disclosure: We'll be using this as a reference at our next haircut appointment. She does soirée dressing so well. 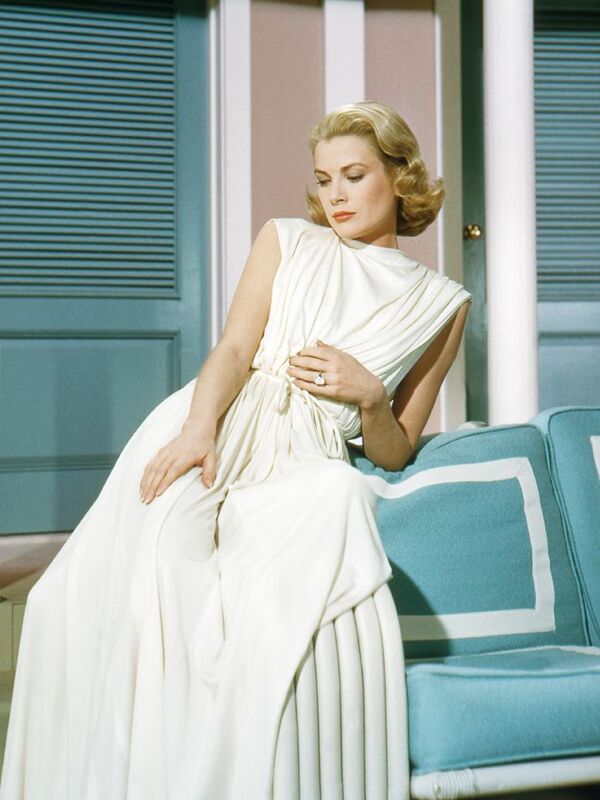 Wow—is she a queen or a Hollywood screen siren? With this look, it's impossible to tell. She know how to contrast textures like a pro. This tweed-and-leather-leggings pairing looks as if its come straight off the Chanel runway. Stunning. She can spot a high-street hero a mile off. The allure of the high street is not lost on HRH. This Massimo Dutti dress sold out within minutes of her wearing it. She's wiling to go directional. Okay, can someone please share Queen Letizia's arm workout with us? We'll also take that gorgeous poppy-print skirt while you're at it. Sometimes she breaks the rules in a minidress. A Queen in a minidress? Letizia makes her own rules at the Francisco Cerecedo Journalism Award ceremony in Madrid. If Kate Middleton or Meghan Markle attempted to step out in this, the queen would likely tell them to go back upstairs and change. She's already bought into autumn's favourite print. That's right—Queen Letizia wore your newfound favourite skirt before this season's penchant for leopard print was even a thing. She makes a case for classic hues. Having to look polished 24/7 is hard graft, but Queen Letizia knows she can never go wrong with a neutral ensemble. She knows less is indeed more. Cute skirt, cute knit, cute Instagram-friendly backdrop. Pretty summer dresses are a big part of her wardrobe. Proving cream-and-black polka-dot dresses are her thing in this floaty number. A sharp suit is never far away. Her love of red hasn't evaded us, but this has to be her boldest take on the hue yet. Tonal dressing is easy peasy for Letizia. See? We told you she likes red. Oh, and we don't think we've seen anyone give such strong sock boots since Balenciaga debuted them on the runway. Who else can do athleisure at meetings? Comfortable and classy. Queen Letizia even manages to make side-stripe trews look sophisticated. Sometimes the classic items just win out. Her majesty has worn this £370 Hugo Boss trench more times than we can count, and we don't blame her. She has a thing for velvet. Making a case for cool occasionwear, this long-sleeved velvet column dress would be perfect for that winter wedding we have coming up. A diamond tiara and a ball gown. Need we elaborate? Can't get enough of Queen Letizia's impeccable style? Then feast your eyes on these fashion-forward royals.